We pulled Garrosh heroic. Then we pulled it 403 times more and he died. Well ok, rumour has it he didn’t really die, but he dropped dead nonetheless. Elementios and Waratthh got the mounts, some others got heirlooms, Pandaria has been saved. All in all a good day. 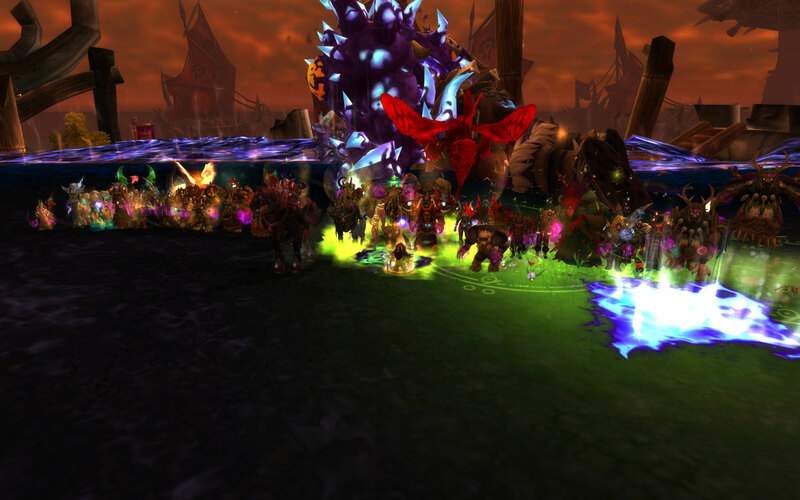 We ended this tier at position 409 as far as 25 man guilds go. Been considerably higher recently, but no surprise here, not with the mupltiple 10 man merges in preparation for WoD. The prospects right now involve some laid back farming, more mounts, gearing up some new people and generally having a whole lot of fun without any pressure. Good times. Good job everyone. Except for the monk kiter. He failed. Just for your information, i got the heirloom spirit+mastery mace! Sokol, Mach and Auriel got the healing mace, Hitman got str 2hand.